Last night, my husband Billy, our youngest daughter Jacqueline, and I had to make the hardest decision a pet owner can make. Although to be honest, TJ made the decision for us. Over the last 3-4 days she has been eating less and less and the last 48 hours she has refused all food, which also makes it hard for us to give her the daily meds she needs. 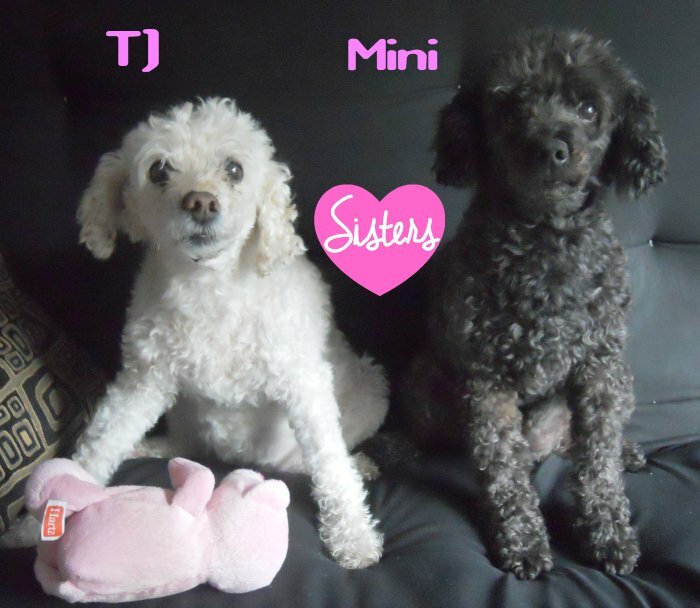 My two dogs, TJ and Mini are sisters, miniature poodles from the same litter, and they celebrated their 15th birthday in April of this year. My mother bought them when they were 8 weeks old and she gave Mini to my husband & I as an anniversary gift. She and her husband Tony kept TJ. They named her TJ to combine their initials, Tony and Josephine. At that time we shared a two family house with my mother and Tony so Mini & TJ were together everyday. Soon after we moved to Florida in 2002, my mother bought a house next door to us so again, they were together everyday and they loved running back and forth between our two houses. After my mother crossed over on 07/07/07, TJ came to live with us and her sister Mini. TJ had developed heart problems last year and even with daily medication her quality of life started to decline in the last couple of months. She’s lost a lot of weight over the last month and she’s been eating less and less food. Over the last 48 hours she stopped eating completely. Last night we made the decision every pet owner hates to have to make. 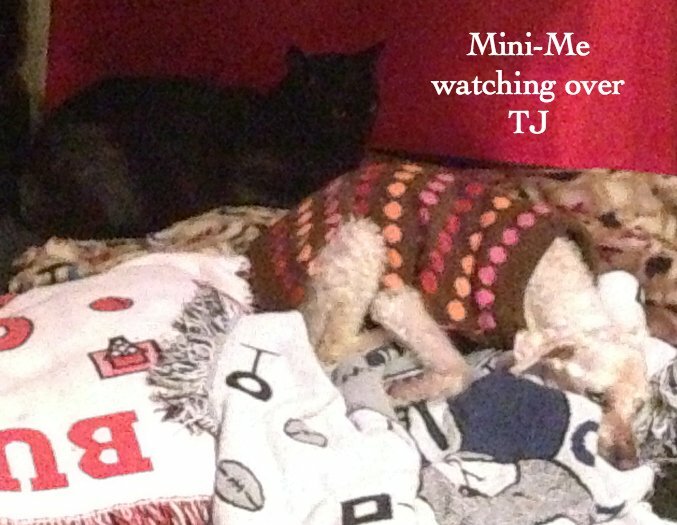 TJ spent her last night in her home, surrounded by love, not only from her humans, but her sister and our one year old cat Mini-Me who she and Mini rescued last August when he was 10 days old. 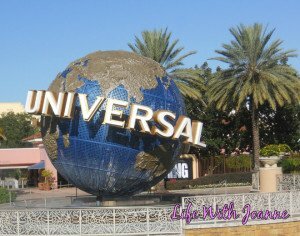 This morning Billy and Jacqueline took her to our vet, a place she’d been going to for the last 12 years, even since we moved from NYC to Florida. My husband and daughter were with her as she crossed over, holding her and comforting her. She brought so much happiness into our lives with her adventurous and kind spirit and we will always keep her in our hearts. When our vet told us we could lay her to rest on our property or have her cremated my husband called me, and through his tears, asked me what I wanted to do. We decided to bring her home and create her final resting place in our backyard, a place where she loved (and I do mean LOVED), to chase the squirrels that invaded her domain on a daily basis. Billy came home to prepare her spot, while my daughter & I gathered items to put in with her. 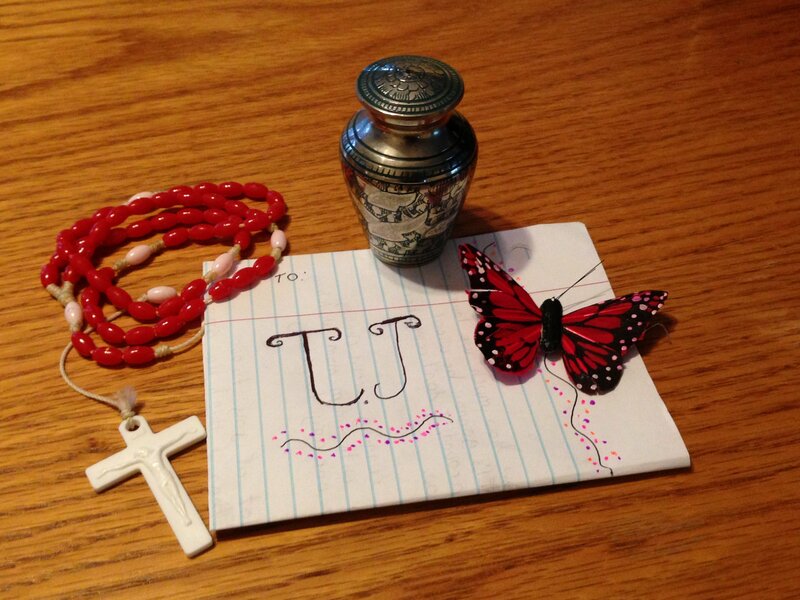 Jacqueline wrote a letter to TJ from all of us, and we also included rosary beads and a butterfly which represented my mother. We wanted to sprinkle some of my mother’s ashes with her and we keep a smaller size of her regular urn for times like this. 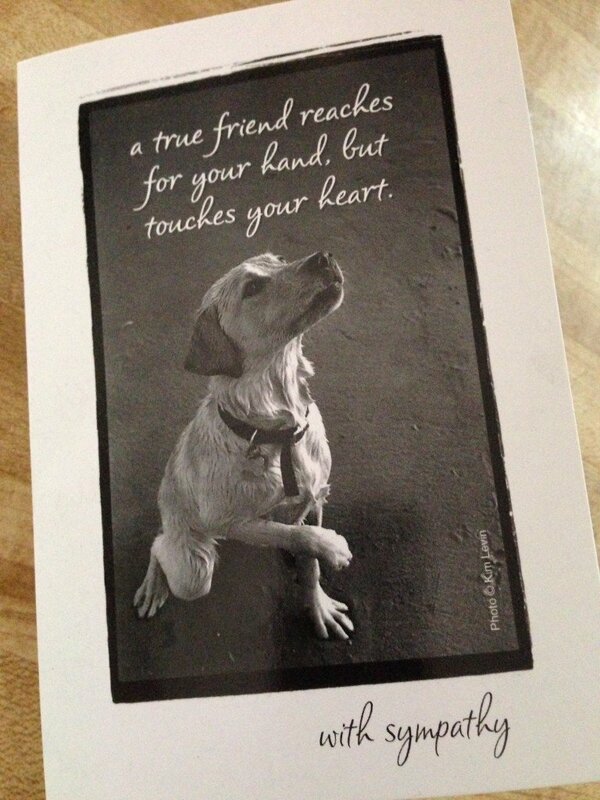 Update: A few days after I posted this, I received the sweetest sympathy card from my vet. I just love them and they’ve been wonderful to all my pets. I’m so sorry for your loss. We have had to make that hard decision once before.and having 2 cats now, I’m sure we’ll have to make it again. Oh goodness. My heart goes out to your family right now. Hubby and I got our first dog a little over a year ago. We fostered and decided to keep another dog just a few months ago. I can’t even imagine how it would feel if I were in your shoes. Our pets are so much more than just “animals”. They’re like furry little children. She’s running over the rainbow bridge now, free and without any pain. Your resting area for her is so sweet. Hugs to you! I am sending hugs to you and the family. I know that sense of loss. 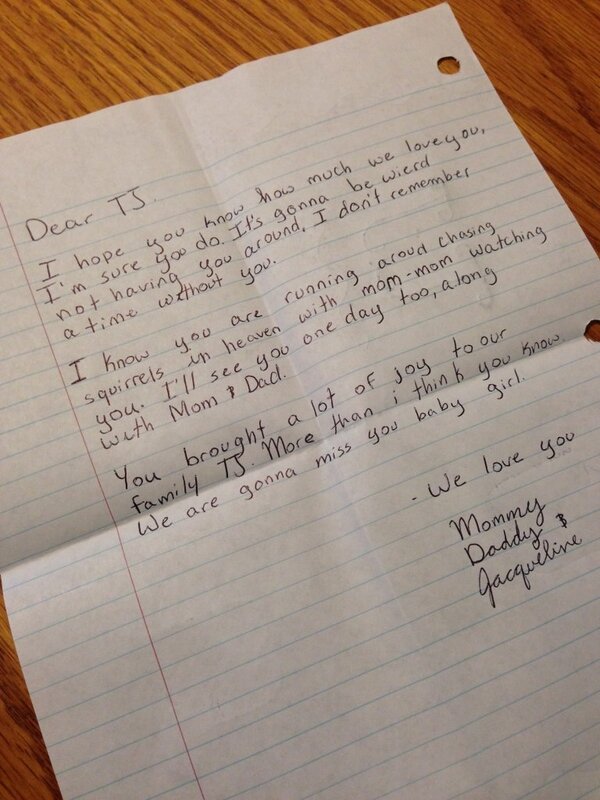 I’m sorry to hear you lost your TJ. 🙁 That is always such a hard time to go through. 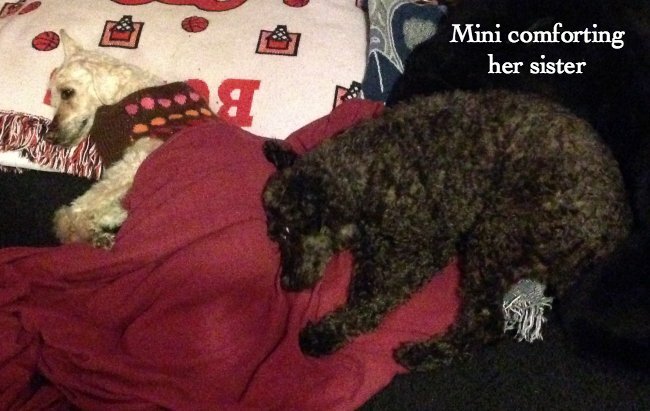 It’s clear from the pictures though, that she was very loved by her humans and her animal family too. So sorry to hear this, it is such a hard decision to have to make. It is nice that you were able to find a spot for her in the yard she loved. I’m so sorry, Joanne. I know how horrible it is. We had to make that decision for our Newfy two years ago and we still miss her every day. Sending you a big hug. Joanne, I am SO sorry about your loss. It has to be hard without her. How is her sister doing? Hugs. I am so sorry for your lost. I can imagine that this was a very hard decision to make. I’m sorry for your loss. What a cute dog. 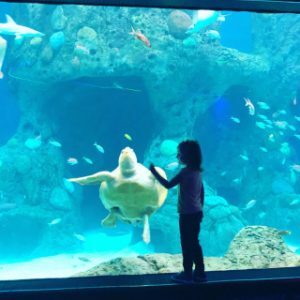 Although I am not an animal lover, my daughter is and I see how happy it makes her. I’m so sorry for your loss. My heart goes out to you and your family. Take solace in knowing what a happy home you gave her . 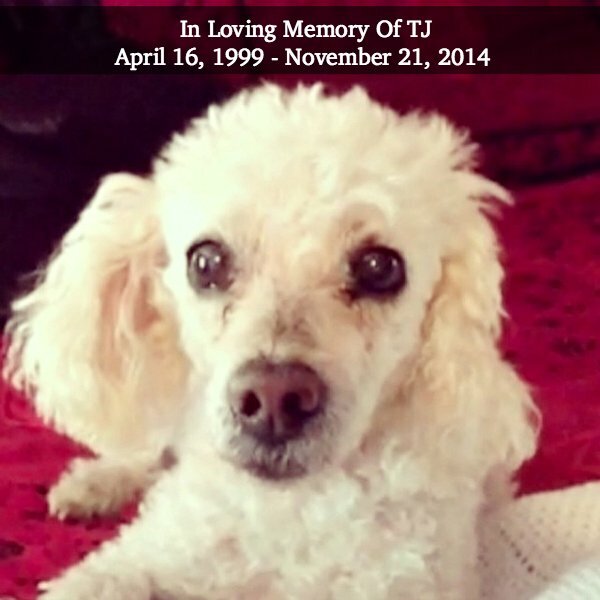 I’m so sorry for the loss of your fur baby, TJ. Our kitties are like our kids, so I understand your pain. 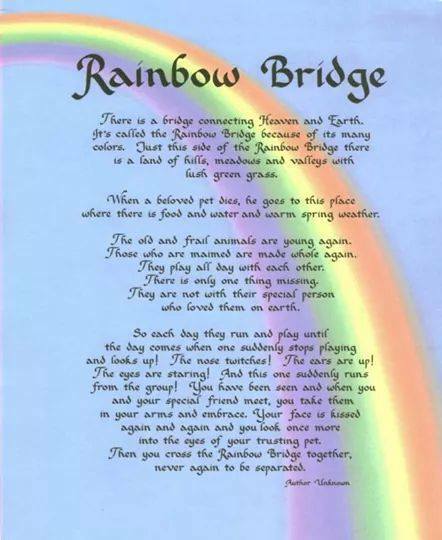 Every time I read that rainbow bridge poem, I cry. 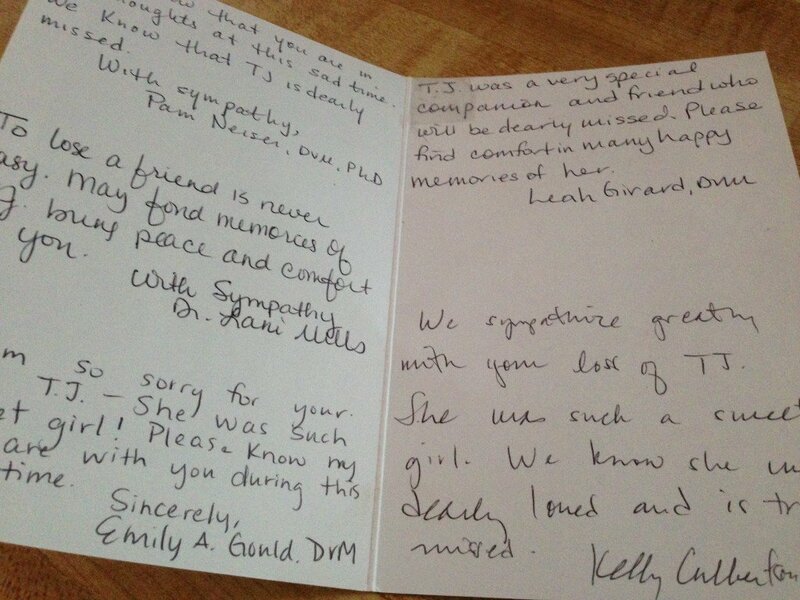 My vet sent it to me when my cat Shady died back in 2002. I still miss him! Oh Joanne I am so sorry for your loss. When a loved pet passes there is such a void in your life. We lost Dozer in April and to this day I still think about him every day – missing him so much. In my prayers I told Dozer, Bo and Blackie that TJ has joined them. I asked them to find her and take her with them in their journeys – making sure she is not alone. That is so sad, I am sorry for your loss. 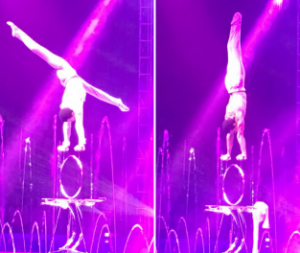 I shared your post with my fiancé and it was a sad moment for the both of us. We lost two dogs in the last 5 years and now we have two, Spikey 4 and Honey 10, Honey gets sick here and there. We had her since she was 8 weeks old, we can’t even imagine life without Honey. Honey was a gift to my daughter now 20 and she loves Honey every time she comes home from college Honey sleeps with her. My mom passed in 04/12/02., my fiance’s mom passed 8/23/14 sorry for your loss. 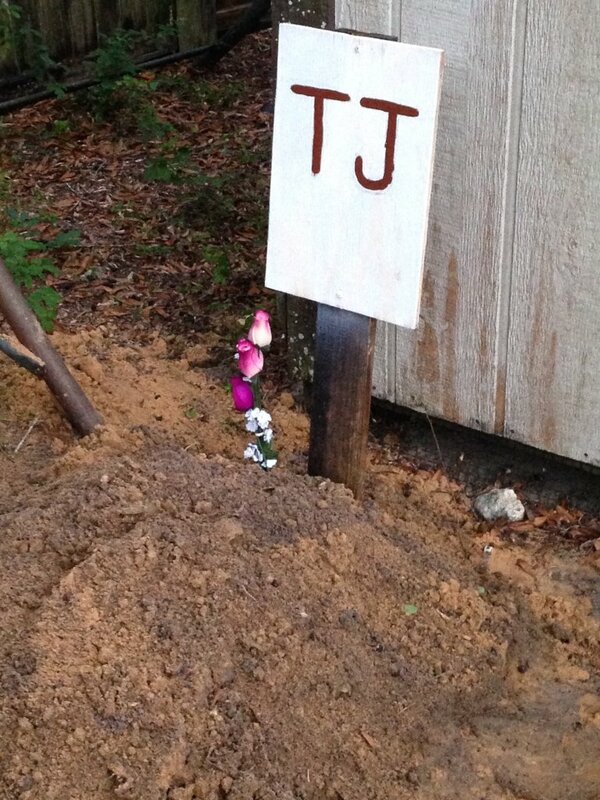 Our baby girl, Rest in Peace TJ.